It always seems like the dogs with the most beautiful fur is the ones who take the largest amount of upkeep. 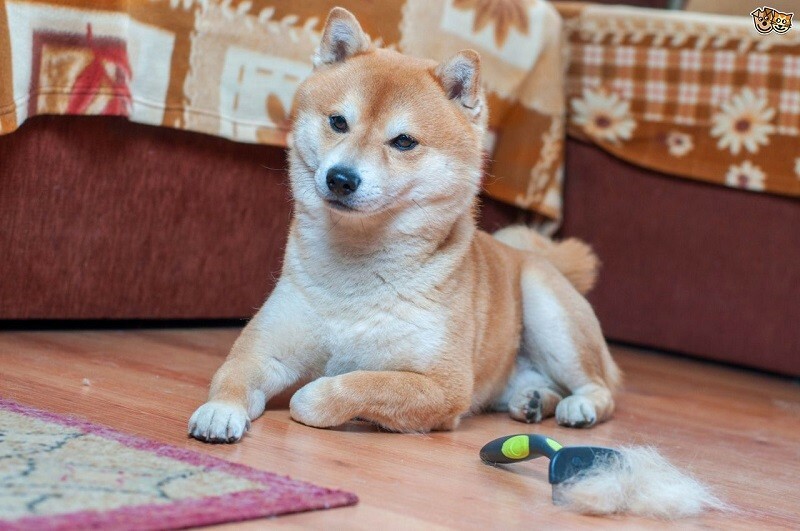 When it comes to grooming, you will find that you can put hours upon hours into ensuring that your dog's fur is as beautiful as possible, but then you find that you have barely scratched the surface, sometimes quite literally. Today we will be talking about dealing with dog shedding. Owners of dogs that don’t shed much are luckier than they know. If you have never owned a dog which sheds heavily, count yourself lucky. It is something that certain dog owners can anticipate as surely as the coming of the seasons, and with good reason. 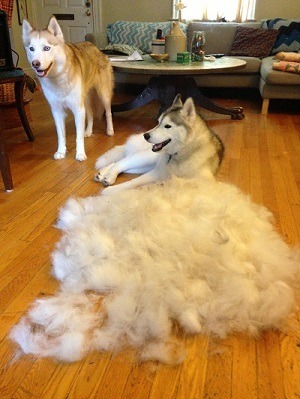 Having your dog shed may not seem quite so bad, but you do not know until you experience it. When your dog is shedding, you have a few ways to ensure that the process is as short as possible. Of these methods, one is the most convenient and will take the least amount of effort. If you remember to brush your dog daily throughout the entirety of their shedding process, you will find that it goes by twice as fast. One issue with this is that your dog will have to be comfortable being brushed. We own an Alaskan Malamute at home which absolutely hates being brushed, and this is due to the simple fact that the previous owners neglected to brush her when she was younger. When you brush a dog from a young age, you will find that they will be magnitudes more comfortable being brushed later on in life. This is the easiest way to ensure that your dog will be okay with being brushed and some may even enjoy it. While it may be tempting just to stop vacuuming for the entire duration of your dog's shedding period, this is a bit counterproductive. In addition to eventually reaching unbearable levels, you will find that leaving fur around on the floor can even get dangerous. We have had several instances in our household where someone stepped on a patch of fur on the ground and ended up slipping. Particularly on wooden floors, you will find that ﻿dog fur﻿ tends to make you slide more easily than a banana peel would in a cartoon. For your safety, and for the cleanliness of your house, you will find that cleaning at least once per day is an excellent way to keep the fur at bay. This has the added benefit of reducing respiratory irritation that may result from your dog's shedding, for both inhabitants and guests. As you can see, all is not lost when your pet begins to shed. 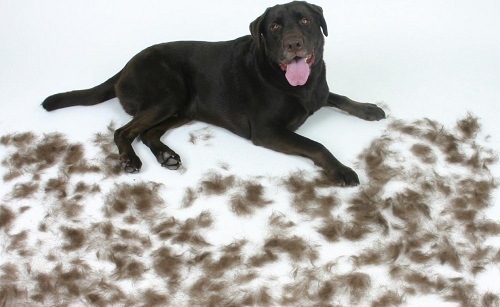 There are a few things you can do to mitigate the effects of the shedding process and shorten it, but it still essentially boils down to you having to wait for it to be over. While there is no way to stop dog shedding outright, you can speed up the process a little bit.